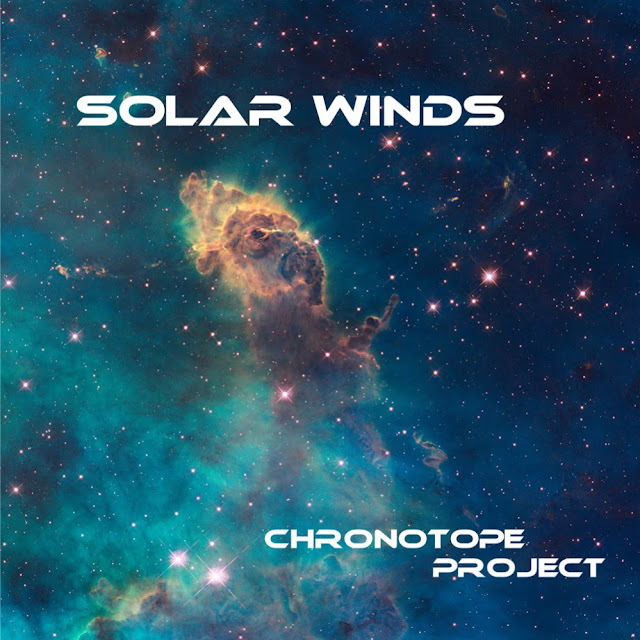 I've featured music from Chronotope Project before and wanted to talk about one of his other albums - "Solar Winds" - an album I've become very fond of. "Solar Winds" is my kind of ambient electronic music ... filled with light, feeling, warmth, movement & melody. Each track works collectively as part of the album as well as singularly on their own ... which is something I appreciate because I can dive in and out or listen to the full piece, if desired. What I particularly enjoy about the music presented on this album is the timeless quality of the expression ... something I've found, of late, digging into the ECM Records back catalogue. It's as if the music transcends time and trend to be something uniquely of its own making. I love that. This doesn't feel like a 2012 release ... the timelessness of the music puts it outwith normal classification. The music is effortlessly played ... with an exemplary degree of prowess and talent. The album opens with the title track - "Solar Winds" - a 9 minute atmospheric slice of ambience that subtly shifts from floaty-synths to a more cinematic trance-inspired percussive ending. It is a beautiful journey ... one I do not tire of taking. The next track - "Raga on the Earth" - is the kind of effortless elegance that simply stuns me ... an Eastern-inspired melody played in a manner that reminds me of obscure Jazz musicians on ECM. A thoroughly relaxed and relaxing piece of music ... a 9 minute slice of heaven. "Sirens" - the third track - is a wonderfully vibrant electronic expression ... blissfully bleepy and hypnotic ... a 7 minute lullaby for a post-modern age and an utter delight. The penultimate track - "Redshift" - is the longest track on the album. It weighs in at just over 15 minutes and is a masterpiece of atmospheric ambient electronica. Floaty synth soundscapes ... complemented with the restrained, careful use of percussion ... provide the listener with the perfect soundtrack for dreaming on lazy days. The closing track - "Clear Bell Ringing in Empty Sky" - is a further example of the talent of Chronotype Project. Atmospheric with field recordings of frogs at night and wind chimes ... it is the melody that seals this track as a real beauty. A languid, unhurried melody ... one that haunts the listener whilst simultaneously engaging ... it is something beautiful indeed and a fine ending to a very fine album. I would highly recommend this release. It is very dear to me. Loving... the artwork from "Transit"